My design was the first place winner for the 2016 Team Member Appreciation Week Logo Competition. I competed against any Team Member that submitted, and after a company wide vote my design was chosen. My logo was used on t-shirts for every team member throughout the company in the US, Canada, and UK, as well as on promotional items throughout Team Member Appreciation Week. 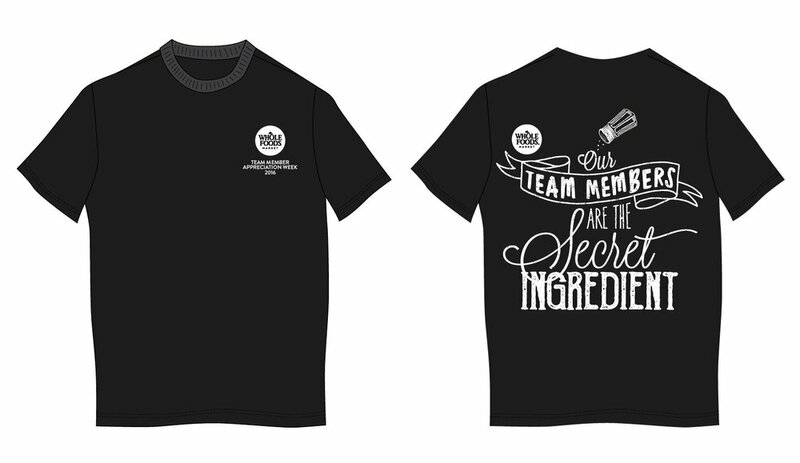 t-shirts for every team member in the Northeast Region as well as on signage throughout the event. My design was the first place winner for the 2016 Team Build Week Logo Competition. I competed against any Team Member in the Northeast Region that wished to submit a design. My design was chosen by the Regional Executive Team. My logo was used on t-shirts for every team member in the Northeast Region as well as promotional items throughout the week.